and performance that has defined the model since its first generation. 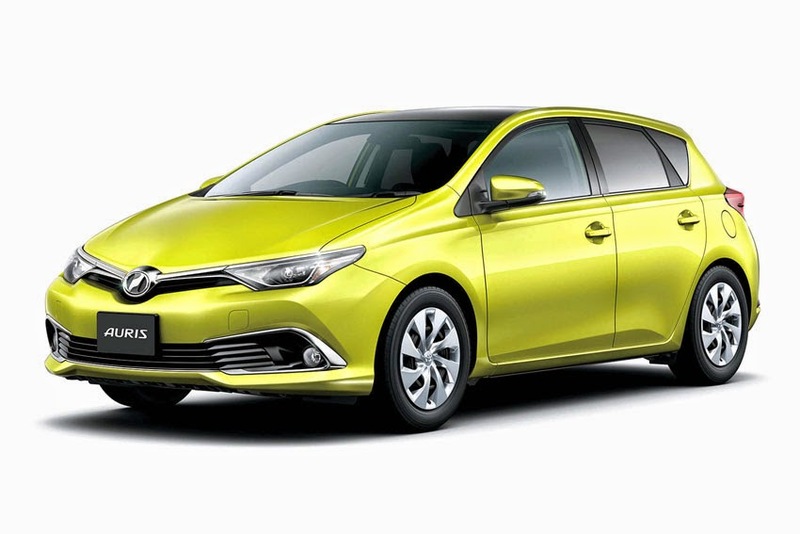 In addition, Toyota has combined the best of the model's new features by creating the high-end 120T grade. The 120T grade comes with Toyota's newly developed 1.2-liter direct-injection turbo engine (8NR-FTS), and also offers an extensive range of comfort-enhancing features. As part of a multi-faceted approach to support safety on the road, the recently-announced Toyota Safety Sense C package uses both a laser radar unit and a camera to achieve high reliability and performance. The package comes standard on 1.2-liter turbo and 1.8-liter models, and is available as an option on 1.5-liter models. > The 1.8-liter, manual transmission RS grade boasts an exclusive, sporty design due to aerodynamic parts such as a honeycomb front grille, spoilers (front and rear bumpers), and side rocker molding. *** Registered trademark of Toray Industries, Inc.